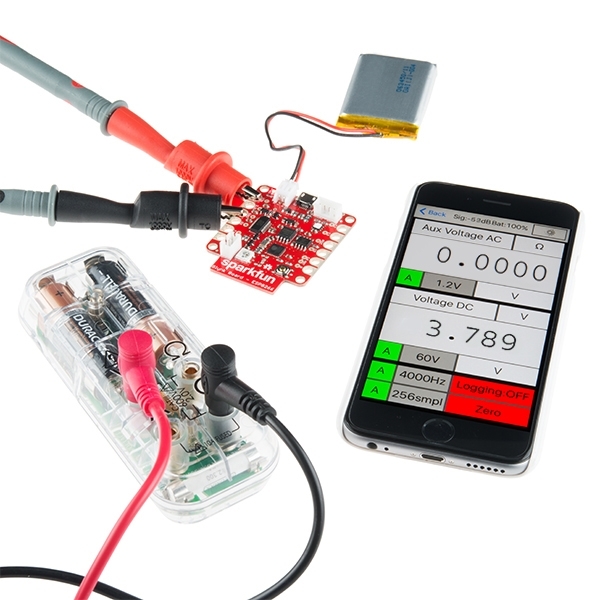 The Mooshimeter is a multi-channel circuit testing multimeter that uses your smartphone or tablet, through Bluetooth 4.0, as a wireless, high-resolution graphical display. 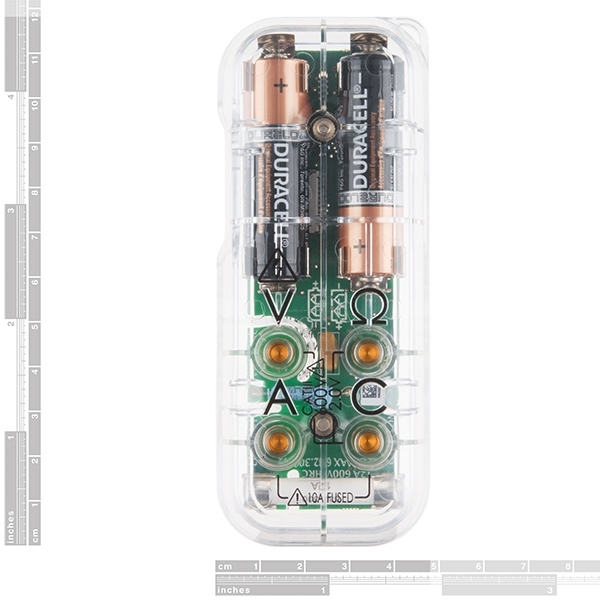 Each Mooshimeter is able to safely measure 600V at 10A with 24bit resolution from up to 150 feet away. 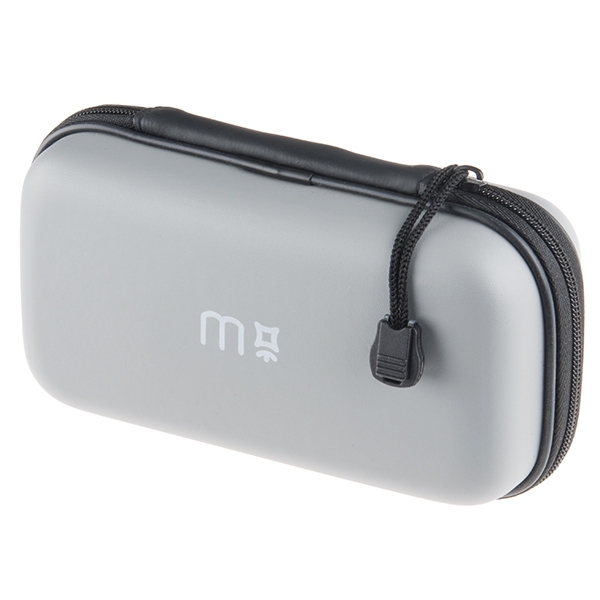 If you’re curious about the Mooshimeter’s battery life, never fear, the meter uses two simple AA batteries and is capable of logging results for up to 6 months. Next time you need to check the current on your robot’s motors, connect the Mooshimeter and drive the bot around while viewing (or logging) your current draw. 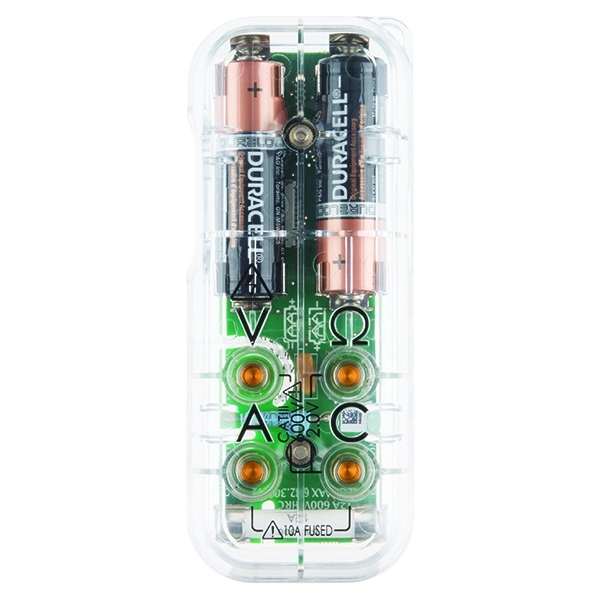 Not only that but with the multi-channel feature you can also measure voltage (and consequently total power) at the same time. You are no longer tethered to your multimeter. With 24-bit resolution you can often skip the amplifier circuit and measure things like heartbeat directly from your Mooshimeter. 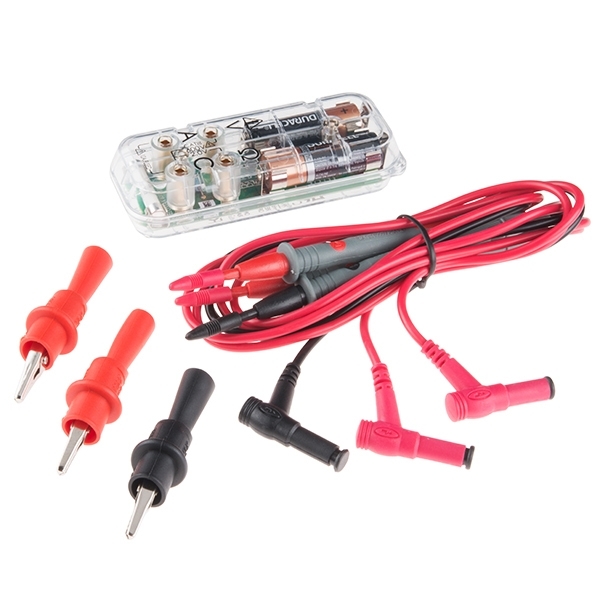 With this multimeter you will be able to measure DC Voltage up to 600V, AC Voltage up to 420V, DC Current between up to 10A, and Resistance from up to 20M Ohm with better than 1% accuracy. 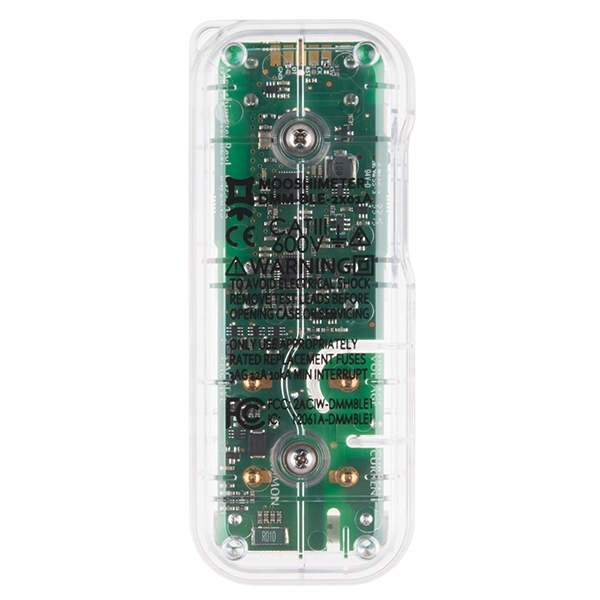 The Mooshimeter is completely capable of being used in applications for sampling power, measuring impedance and current, detecting the temperature, and even tracking heart beats.